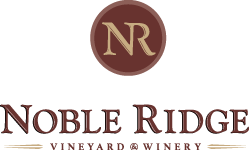 Noble Ridge Vineyard & Winery lays in the Okanagan Valley at the northern most tip of the only desert in Canada. The winery is named for the noble varieties of grapes grown and the ridge that divides the land on which they thrive. But this noble name is more than just a nod to the land. It’s a statement of values and a reminder of the hard work and dedication on which the winery was built.